You should scan your Linux-based systems to avoid hacks and gather information from both outside (if the system is a publicly-accessible host) and inside your network. That way, you can see what the bad guys see from both directions. Linux services — called daemons — are the programs that run on a system and serve up various services and applications for users. Internet services, such as the Apache web server (httpd), telnet (telnetd), and FTP (ftpd), often give away too much information about the system, including software versions, internal IP addresses, and usernames. This information can allow hackers to exploit a known weakness in the system. TCP and UDP small services, such as echo, daytime, and chargen, are often enabled by default and don’t need to be. 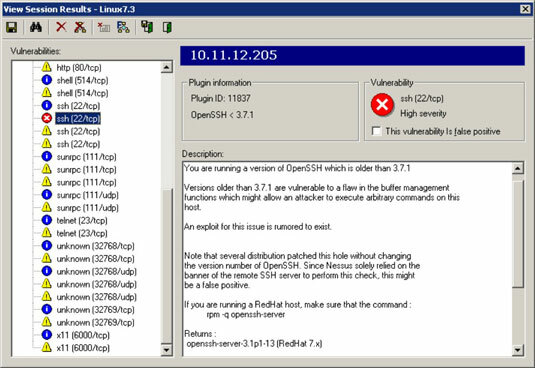 The vulnerabilities inherent in your Linux systems depend on what services are running. 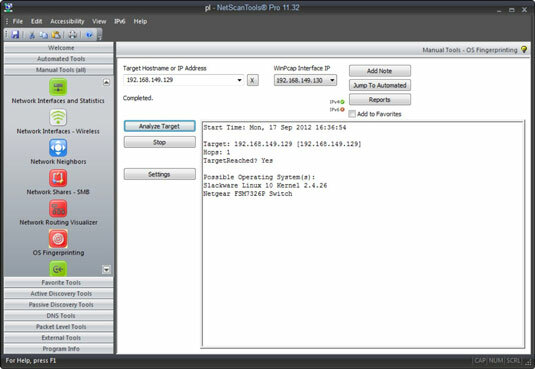 You can perform basic port scans to glean information about what’s running. 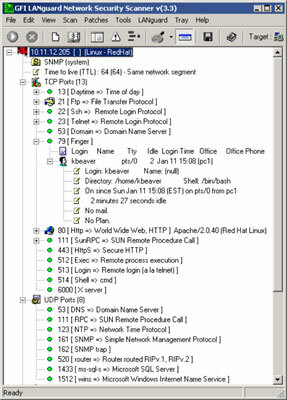 The NetScanTools Pro results show many potentially vulnerable services on this Linux system, including the confirmed services of SSH, HTTP, and HTTPS. LanGuard also determined that the server is running rlogin and rexec, the Berkeley Software Distribution (BSD) r-services. 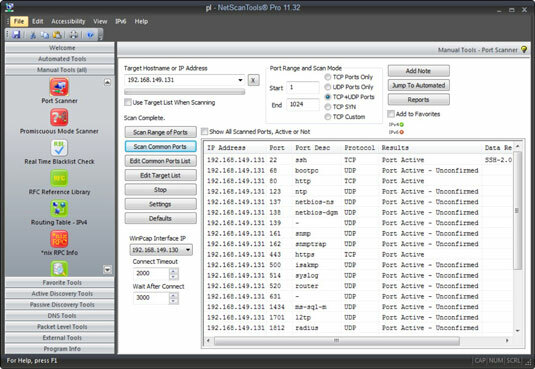 This information can be handy when you come across unfamiliar open ports. Notice that LanGuard points out specific vulnerabilities associated with some of these services, along with a recommendation to use SSH as an alternative. 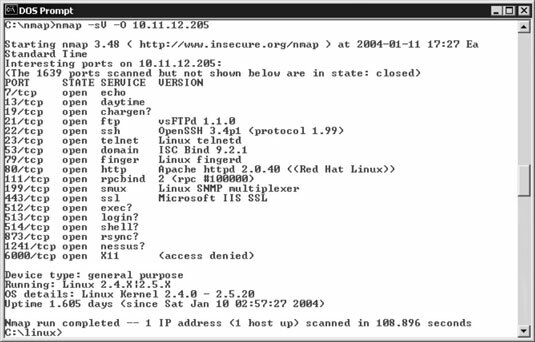 You can go a step further and find out the exact distribution and kernel version by running an OS fingerprint scan with the Nmap command nmap –sV –O. The Windows-based NetScanTools Pro also has the capability to determine the version of Linux that’s running. Disable the services you don’t need, including RPC, HTTP, FTP, telnet, and the small UDP and TCP services — anything for which you don’t have a true business need. This keeps the services from showing up in a port scan, which gives an attacker less information — and presumably less incentive — to break in to your system. Make sure the latest software and patches are loaded to reduce the chance of exploitation if an attacker determines what services you’re running.